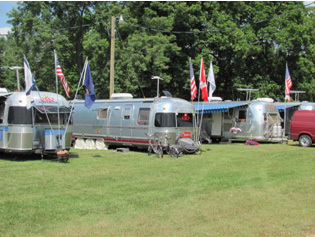 The Kalamazoo County Expo Center & Fairground offers 220 campsites split between 5 campground areas for special event camping. Most sites offer 30 amp electric and water hook-ups. Modern restroom facilities, and dump station are also available. The Expo Center is a great location for rallies and large events, call 269-383-8778 for more information.